In case you haven’t heard the recent big news from Google’s huge reorganisation, here’s what’s happening. Google is separating its highly profitable search and advertising business from its more experimental businesses. Its management has created a holding company, Alphabet Inc, that will manage all its businesses – including biotech and wearables businesses such as Calico, Nest and Fiber. Google itself will be a subsidiary of Alphabet, consisting of all its search and advertising businesses, also the largest and most profitable part of its business. It will be led by Sundar Pichai, who has been in charge of product and engineering for Google’s internet businesses. All Google shares will also convert to Alphabet Inc shares, without a change in the number of shares. Google’s overall revenue for 2014 was US$66 billion, of which the search and advertising business pulled in 89% of the revenue. The current leadership of Google will become the leadership of Alphabet Inc: Larry Page will become the chief executive officer; Sergey Brin, the president; Eric E. Schmidt, the executive chairman; Ruth Porat, the senior vice-president and chief financial officer; and David C. Drummond, the senior vice-president of corporate development, chief legal officer and secretary. Page, Brin, Schmidt and Drummond will transition to these roles from their respective roles at Google, whereas Porat will also retain her role as the CFO of Google, according to the SEC filing of the new holding group. 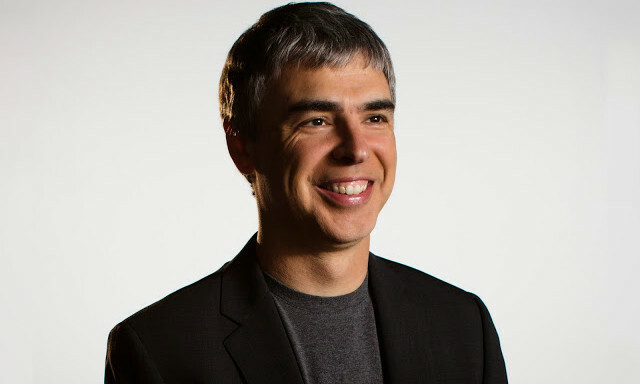 Here’s an excerpt from the blog post by Larry Page. This new structure will allow us to keep tremendous focus on the extraordinary opportunities we have inside of Google. A key part of this is Sundar Pichai. Sundar has been saying the things I would have said (and sometimes better!) for quite some time now, and I’ve been tremendously enjoying our work together. He has really stepped up since October of last year, when he took on product and engineering responsibility for our internet businesses. Sergey and I have been super excited about his progress and dedication to the company. And it is clear to us and our board that it is time for Sundar to be CEO of Google. I feel very fortunate to have someone as talented as he is to run the slightly slimmed down Google and this frees up time for me to continue to scale our aspirations. I have been spending quite a bit of time with Sundar, helping him and the company in any way I can, and I will of course continue to do that. Google itself is also making all sorts of new products, and I know Sundar will always be focused on innovation – continuing to stretch boundaries. I know he deeply cares that we can continue to make big strides on our core mission to organise the world’s information. Recent launches like Google Photos and Google Now using machine learning are amazing progress. Google also has some services that are run with their own identity, like YouTube. Susan is doing a great job as CEO, running a strong brand and driving incredible growth. Alphabet Inc will replace Google Inc as the publicly traded entity and all shares of Google will automatically convert into the same number of shares of Alphabet, with all of the same rights. Google will become a wholly owned subsidiary of Alphabet. Our two classes of shares will continue to trade on NASDAQ as GOOGL and GOOG. For Sergey and me this is a very exciting new chapter in the life of Google– the birth of Alphabet. We liked the name Alphabet because it means a collection of letters that represent language, one of humanity’s most important innovations, and is the core of how we index with Google search! We also like that it means alpha‑bet (Alpha is investment return above benchmark), which we strive for! I should add that we are not intending for this to be a big consumer brand with related products – the whole point is that Alphabet companies should have independence and develop their own brands. And hopefully … as a result of all this, improving the lives of as many people as we can. Other than the fact it’s a major player in the digital landscape, Google’s move bears further significance for major brands and companies as well. Here are the top takeaways from the creation of Alphabet Inc. The new structure will have its “riskier businesses” reporting in separate management. With companies attempting to monetise new technologies such as wearables, the Internet of Things (IoT), biotech, among others, many also struggle with managing the risk from these in their business model. Google’s move bears food for thought that such businesses are good enough to now have separate management and report to Wall Street, suggests Rachit Dayal, founder of digital consultancy Happy Marketer. Should businesses seriously start thinking beyond and into the world of internet of things and wearable devices? In the past, the way Google operated was more like the way P&G and Unilever did, running several businesses under a single holding company, all reporting to a “mother ship” brand. Now, the way Google is moving is more like the way Elon Musk is running his firms SpaceX, Tesla, and SolarCity separately, keeping risk apart from the revenue-spinning Tesla, says Ryan Lim, founder of digital consultancy QED. Also, acquired businesses may not want to be housed under the Google brand, added Lim. With many major companies and brands today such as Intel, adidas and Facebook looking to play in this space, is this the way forward for companies in managing new technology revenue streams? This new restructure also means that the search business is finally mature enough to stand on its own, says Lim. “Take a look at those businesses Google classifies as traditional. How many of us and our businesses have even dipped their toes well enough into things like mobile, video, search and advertising?” asks Dayal, stating his surprise at how behind most businesses are “when it comes to stuff we consider mature already”. 4. More innovation, more acquisitions? Finally, this only means one thing: Innovation and acquisitions can be expected to increase at Alphabet. “Google has become a much more diverse business outside of its core range of internet services. Investments in medical science, self-driving cars, robots and even space exploration is well beyond its original search and media business. It gives them more room to spin off into innovation projects while giving better visibility to the industry and investors around the the performance of its core Google business,” said Roy Capon, the Asia Pacific CEO of DigitasLBi. The move frees up Google/Alphabet’s management to keep on innovating, adds Lim.